Jim Penman started his part-time gardening business while completing his PhD in history. He went full time in 1982 and Jim’s Mowing was franchised in 1989. Currently, there are over 3,500 Franchisees in four countries, and growing at the rate of around 200 per year. There are no company owned businesses and all work is done by Franchisees. Franchisor rights are also privately held and all Divisions, except Mowing, are partnerships with individuals experienced in those industries. The Jim’s Group is the only franchising system in the world that allows franchisees to vote out their franchisors. Jim has an absolute obsession with service to the extent where the primary goal and purpose of the whole system is looking after franchisees. There are mechanisms in place so that franchisees can move to other regions or to other franchisors, if they wish to. Franchisees are given the right to walk out of the system when they want to and at the most pay a few thousand dollars; they aren’t held in the system by legal requirements. Franchisees are give automatic right of renewal. Haydar Hussein started his own cleaning company in 1994 – within six months it was running successfully. Six years later, his skills honed and armed with invaluable ideas he quickly realised that his company as a national household name was financially beyond his reach. He set out to explore opportunities to exploit his expertise and knowledge of the cleaning industry, his research led him to the Jim’s Group, giants of the franchising industry and already in possession of a hugely successful brand and system. Haydar purchased a Regional Franchise for Jim’s Cleaning in Western Melbourne, re-branded his existing business and the rest, as they say, is history! Within 3 years Haydar purchased the remaining regions nationally, giving him sole ownership of the “Jim’s Cleaning” empire, adding another chapter to the success story. 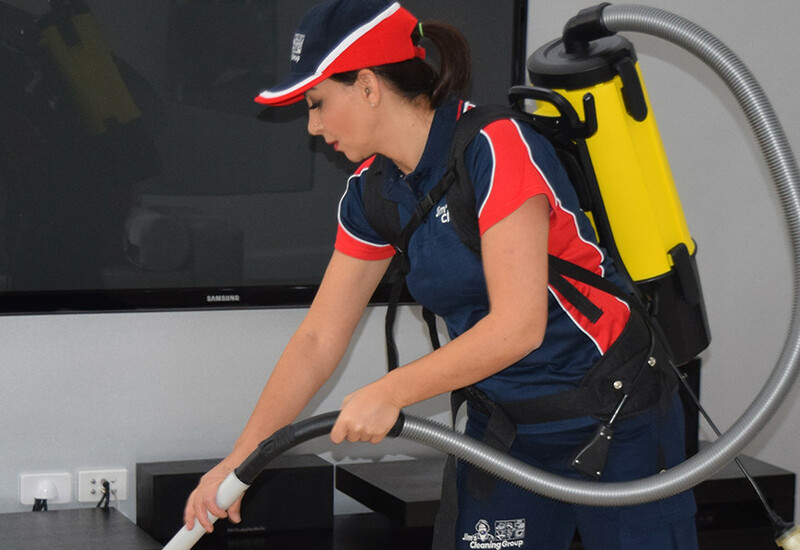 As the National Franchisor responsible for leading the Jim’s Cleaning division Haydar is committed to further development, to achieve a level of success beyond his initial expectations.